A language exchange is simply two people who want to learn each others’ languages. Sometimes, people say that it’s more a matter of body language exchange (i.e. a way of finding a boyfriend or girlfriend), but even though this might be true to a certain extent, that’s not what I’m going to talk about today. Instead, the imagined situation is that you find someone to help you with your Chinese, who is also interested in learning your language, so you can have a fruitful exchange. Language exchanges are sometimes frowned upon, especially by the extrovert and socially adept kind of people who can make five new friends in as many minutes in any kind of social situation. Isn’t this kind of formal language relationship weird? Isn’t it unnatural? Isn’t it unnecessary? Your friends aren’t your teachers. Perhaps they aren’t interested in correcting your pronunciation or helping you by explaining words you don’t understand. If you want to keep them as friends, you should treat them as such. If they get the feeling that you only hang out with you because you need a walking dictionary, they might stop calling you. Apply language question triage! Your language exchange partner isn’t necessarily a friend. 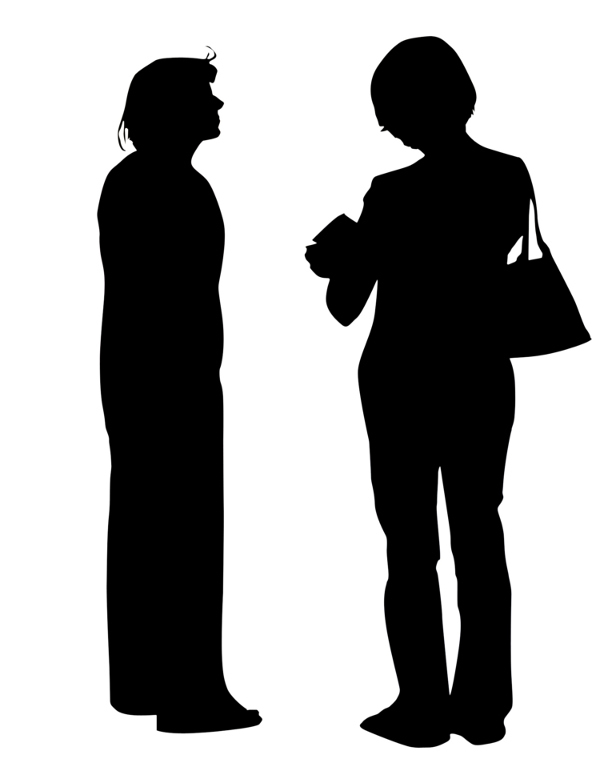 When you talk with friends, you want to obey certain social rules or you might have an image to uphold. Perhaps you don’t want to be the stupid foreigner who always asks questions. If you have a language exchange partner, you can collect questions and ask them when it’s safe and it’s all right to ask as much as you want. You can extend total teaching time. If you’re taking courses in Chinese, the likelihood is that the lessons they offer won’t be enough if you want to learn fast and efficiently, you will need to study on your own (not to mention if you don’t attend class at all). Having a competent language exchange partner can be invaluable, especially if there are many students in your ordinary classroom and you get little attention from the teacher. It’s basically a one-on-one extra teacher. Still, if you can afford it, having a real one-on-one tutor is of course much better. You can delve very deep when you need to. In class, you can usually ask about things you don’t understand, but you can’t keep asking forever if you don’t get it, especially if your classmates seem to understand what the teacher is saying. With a language exchange partner, you can ask until you fully understand a concept you think is difficult. You can target a single problem. Let’s say you know that your third tone is lousy. In class, your teacher might be able to correct you a few times, but if you have twenty classmates, you will never get the attention you need. If you tell your partner to be really strict and tell you every time you make a specific mistake, you have a much better chance to improve. You gain access to a stand-by teacher. I’ve always ended up being very good friends with my language exchange partners, which means (among other things) that I have their phone numbers and that I have them added on various social networks. This also means that when I’m studying at home and encounter a problem, I always have someone to ask. I’m not trying to convince you that a language exchange partner is better than a friend, but I am saying that these two are completely different! You can do most of the above-mentioned thing with some friends, but not all. I think it’s very important to treat your Chinese-speaking friends with respect and as you treat your other friends. Starting a language exchange gives you a valid reason to focus on Chinese without destroying a social relationship. Don’t forget that you can have a language exchange with your friends as well. Simply separating social time and study time is a useful tool if you don’t want to focus on improving your Chinese every time you open your mouth. You should know that native speakers differ very much in their language ability. They also speak different kinds of Mandarin depending on where in China they’re from. All of them are of course very good at the language they are using, but you should be aware that perhaps this isn’t what you’re trying to learn. For instance, a minority of the people in China have a clear, standard pronunciation in Mandarin, so if that’s what you’re after, you need to select teachers carefully. Likewise, if you aim to learn formally correct Chinese, you can’t pick the guy in the supermarket who dropped out of high-school, because he will have no clue about the advanced academic Chinese you’re reading. This is obvious, but still difficult to feel as a learner. To illustrate what I mean, think of all the people you know who speak the same language as you do, including former classmates, co-workers, neighbours and relatives. If you had a foreign friend who wanted to learn your language, would you trust every single one of these people to be able to teach this foreigner and do a good job? I dearly hope the answer is “no”. Separating the wheat from the chaff might take a few attempts and be tricky, but you have to do it. Note that I’m talking about language exchange here, not choosing friends! There are many reasons for wanting to talk to someone which are completely unrelated to language. Of course, it’s of paramount importance to know what you want to achieve with your language exchange. If you want to practice speaking and listening in natural situations, any native speaker will do (perhaps you should try to make friends rather than find language exchange partners, though). If you want to have someone correct your word usage or pronunciation in conversations, anyone who keeps pointing out mistakes is a good choice. Regardless of the reason you want a language exchange partner, they can be a really powerful tool to improve your Chinese. I’ve had dozens of exchange partners, most of which I only met once, some I still are in touch with, years later. I’m convinced that language exchanges has something to offer you as well. I never cared much for language partners. Never really got the whole thing to work since I always felt that it was one side who did most of the talking, that of course being whoever had the strongest language ability to start with. After meeting a language partner couple of times I lost interest and got myself a tutor instead, which a couple of years ago wasn’t expensive (this was in Beijing, 2006). I don’t know what the prices would be like today, but I highly doubt it’s more than 30 RMB per hour. That’s money well spent if you ask me. Then of course you need a set of real friends that can provide you with the proper environment, and I fully agree with you that you can’t treat them as teachers unless they are willing to. Im always careful about asking language related questions too often since sooner or later my friends will get bored of them. However, if your friends are interested in learning English, I found it valuable to provide them with proper learning environments from time to time which made them more willing to help me out with my troubles. Mutual benefit is something I always try to provide, since people will have different reasons for interacting with foreigners and chinese alike. A great article and I agree that language exchanges are a really good resource and also a good way to meet some new people that you may not have met through other avenues. A private tutor is always a more efficient use of your time, i.e. they are probably more skilled at teaching and you can have an hour of Chinese without having to worry about giving them an hour of English practice in return. Yet a language exchange partner is a nice bridge between friend and teacher, the formal relationship and exchange of money is not there, so it can often turn into a friendship as well. I have found that the secret to success is to be very clear that the time should be divided equally between Chinese and English if the other party has better English than you have Chinese. Even better still find someone with English skills that aren’t so good so even though you should help them equally, you can often use Chinese to explain things (vocab/grammar) in their English time should they need it. Also your exchange partner isn’t a teacher. So you need to kind of take the reigns and decide what you want to practice and when, so your time together doesn’t just turn into a casual chat (sometimes this is okay). I agree with this article. Language exchange can be a blessing when trying to perfect your chinese. Of course, it is ideal to enroll in a course to learn the core of the grammar or skills, since not all partners are professional grammar experts. What I find a little difficult is the “friendship vs partnership” aspect, where does the partnership and the friendship start and end…. it can be a thin line, and in my opinion, that should be established along the way in order not to have hurt feelings if one of the partners put an end to the exchange… Among my partners I’ve met and made excellent friends and of course there were passing-by people who disappeared as fast as they begun the exchange. It’s a very enriching experience. I really like the idea of having more language partners, and I think it’s best to have a language partner you can meet with in person rather than just online, where there’s no context. In your own words, “practice speaking and listening in natural situations” is my goal exactly, so any native speaker would do for me! But still, it’s not always easy to find the right person. I was wondering if you have any personal tips on how to go from complete strangers to language partners? When I was in China, I would often be singled out as a foreigner and Chinese people would approach me directly to ask if I could teach them English. I would feel a little uncomfortable at those times, but I got over that, and sometimes it worked out well. Now in America , and in a very small community, there are hardly any Chinese people, but there are some. When I notice anyone speaking Chinese, I really want to make them my language partner right then and there! But I feel like it’s rude to go up and make demands on a person, and it seems even more rude in America to single someone out because of their ethnicity or nationality—since we pretend to ignore those things—and besides, if a Chinese person is getting by in the middle of nowhere in America, his/her English is probably better than my Chinese and I’ll be a waste of their time. I’m trying to think of some assertive yet non-demanding way to go about introducing myself. Maybe I should make business cards? I’ve usually found language exchange partners either through online forums (in Taiwan) or via associations related to China in some way (in Sweden). Look for university exchange students. They are typically interested in learning English and if you approach them at the beginning of a new semester, they might also be grateful for someone showing them around and helping them out with things. In return, you get to learn some Chinese. I suggest being open with this. Say that you’d like to practice Chinese and learn more about them and about China, and that you’re prepared to help them out with other things in return.